You want tiles to cover the kitchen flooring but wood to cover the flooring of the living room? Hoe to do this if these two rooms are connected together? How to separate the floor? How to make transitional flooring? Stay with us to the end of this post and we will answer all the questions you have in your head! 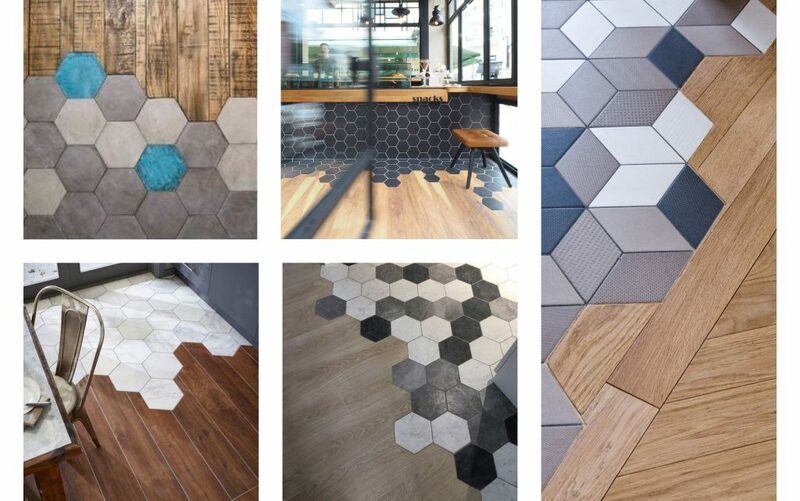 We will give you ways and examples of flooring transitions that you will like it! Read about the contemporary kitchen design that will be trend for 2019 and also for the next year 2020. At first side you might think that this is an impossible mission for you but as you can see the photo everything is possible! You can have floor of tiles in the kitchen but also wooden floor in the dining room that will continue to the other rooms. In the first minute you are standing on the tiles and on the second minute you are standing on a parquet? How is this possible? 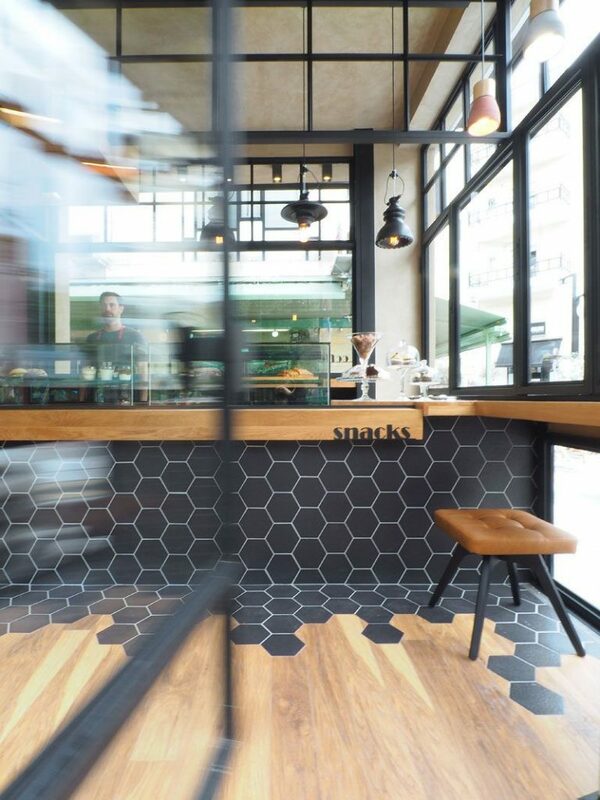 Well it is possible only with transitions flooring like this, take a look and copy the idea! 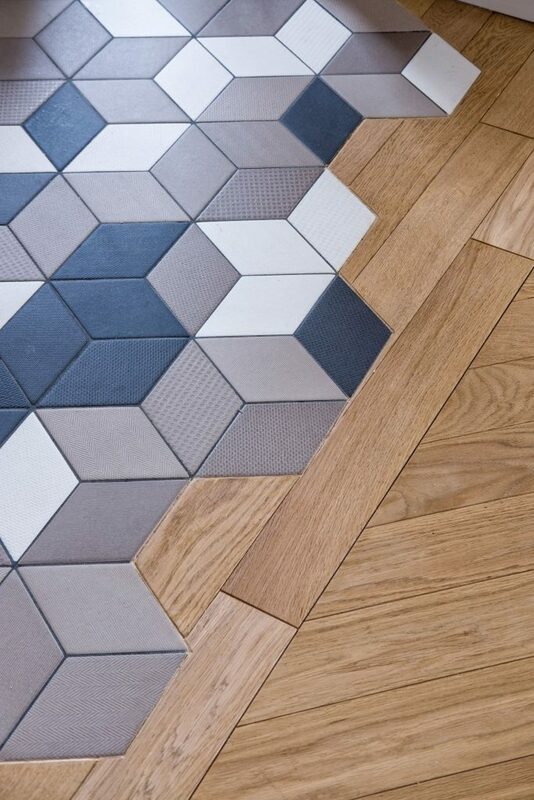 See this lovely combination that will cover the flooring on your house. Perfect idea that will help you to create modern home worth staying in. 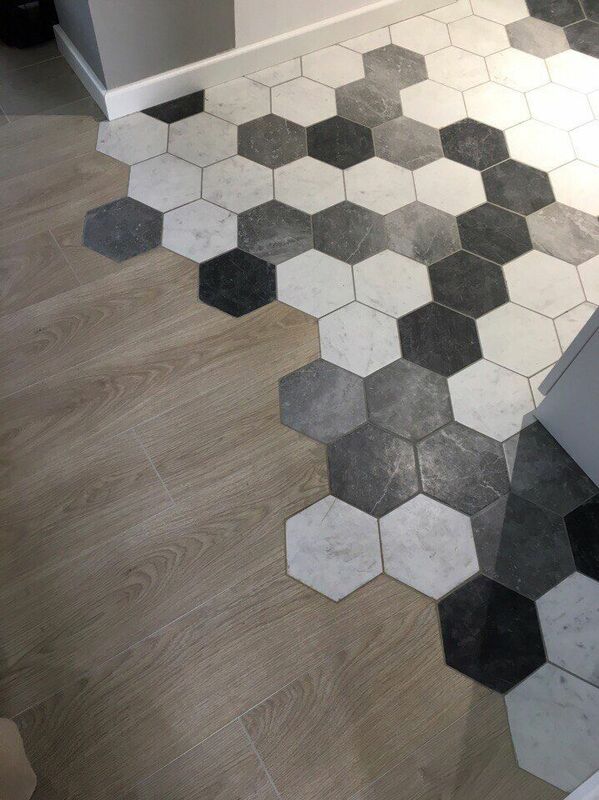 You can use this idea to cover the floor of entrance hall and to choose the tiles to be added on the entrance hall flooring where you can easily clean the place. 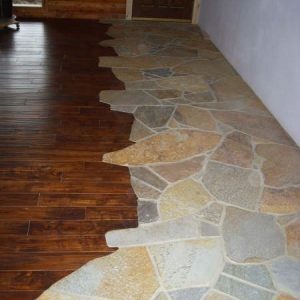 Stones are also great material to decorate the house flooring. my advice for you is not to cover the full floor with stones because it will be cold for stepping on it. 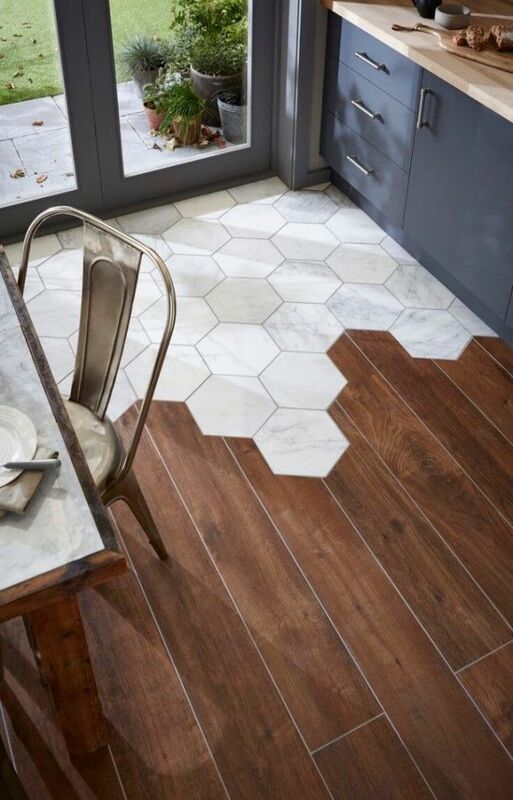 for that aim, you can add it on the side where ends the flooring and to make one great flooring transition. 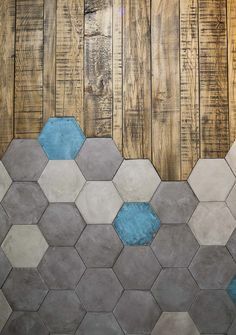 Find idea in this photo and inspire yurself. .
Tile and wood can meet and connect in one flooring idea with the help of transitions. The process is simple and everything looks great when you have an idea like this in the photo when you have the needed material and you have the right person (proffesional) who will make it to look like this! what will happen if you decide to continue the transition in vertical row or to cover the kitchen island or kitchen bar? Is this possible? Yes it is. not that just it is possible but also looks so modern! Take a look in this photo and draw inspiration from and thing if you like to copy the style for your home. Friends, I hope that we helped you a bit with our ideas about floor transitions, we will be thankful if you share the ideas with YOUR friends!